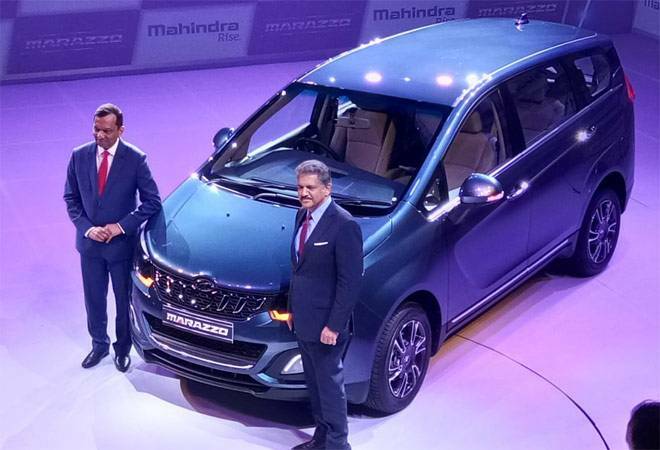 Homegrown utility vehicle maker Mahindra and Mahindra on Monday launched its most ambitious product till date--the Marazzo, at Rs 9.99-13.90 lakh (ex-showroom Delhi). 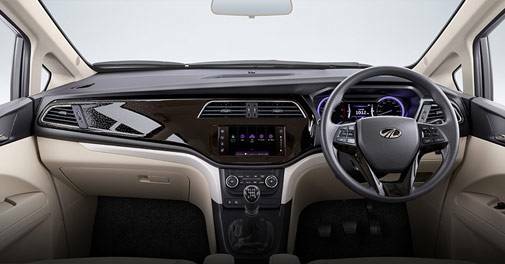 Developed jointly by Mahindra's R&D team in Chennai and its North American Technical Centre, the Marazzo sits just below its existing top-of-the-line offering XUV5OO that is priced between Rs 12.48-19.19 lakh. Built on a completely new platform, Marazzo comes with a new 1.5-litre diesel engine that develops 123 PS power at 3500 rpm and 300 NM of torque at 1600 rpm, mated to a six-speed manual transmission. It is offered in four variants. Mahindra said it is working on automatic variants as well as a petrol engine with BS VI emission norms that will be enforced in 2020. "The journey of the Scorpio began from our factory in Nashik and it has become an iconic product. I hope ten years from now we would be able to say the same about the Marazzo as well," said Pawan Goenka, managing director, Mahindra and Mahindra automotive division. The Marazzo, which means shark in Basque a sub-language in Spanish, is also a product of collaborative design by Italy's design house Pininfarina and Mahindra Design Centre. The design house was snapped up by the Indian firm in December 2015. Mahindra has spent $200 million to develop the product. "Marazzo is a milestone launch for us and signals our global aspirations," said Anand Mahindra, chairman, Mahindra and Mahindra. "It is inspired by the shark as it is the only predator in the sea that is unchallenged and so it lives the longest. Similarly, we hope the Marazzo will swim through the waters of its segment like a shark, smoothly silently, unchallenged and for many many years." Once India's undisputed king of utility vehicles, Mahindra has lost its mojo in recent times due to its ill-preparedness in the compact SUV segment and increasing competition in other segments. Its last big success was the XUV5OO in 2011. Since then it has launched at least two significant products in the sub-4-metre utility vehicle space--the KUV1OO and TUV 3OO. Both have failed to live up to the expectations. As a result, the company's market share between fiscal 2012 and 2018 has more than halved from 55.6 percent to 26.32 percent. 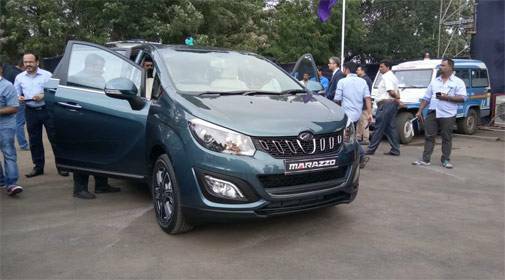 The Marazzo is the first of the company's three big launches in this financial year as it seeks to regain its stature in the market. In fiscal 2018, it lost its crown in the utility vehicle segment to Maruti Suzuki, which had a higher 28 percent share in the market thanks to the success of its compact SUV--Vitara Brezza. There is little to suggest a change in the script in this fiscal so far. Mahindra's sales in UVs in the first five months of this fiscal grew by only 1 percent to 91,845 units. Maruti registered a 3.7 percent increase in its utility vehicle sales at 108,230 units during the same period. Later this year, Mahindra is expected to launch a sub Rs 10 lakh compact SUV codenamed S201 that will compete with the likes of Hyundai Creta and Renault Duster. Further, it is also expected to bring in the G4 Rexton from its subsidiary Ssangyong in South Korea. Between these new launches, Mahindra hopes to sell incremental volumes of around 9000 units every month. The company is also expected to extend their SUV line-up with a premium offering, Y400 in the near future. "Market leadership is a crown of thorns. We are not focussed on market share but making sure our products are a hit," Mahindra said. "If we look at the true blue ladder on frame SUVs, then we are still very strong there but if you add every monocoque wannabe crossover vehicle in the mix then the segment really expands. So we are not in that game anymore."